This would be the last post of 2017. Can you believe how much time flies? There are a lot of ups and downs in this year. I had learnt a lot from these lessons. Even though there are some unpleasant things happened, I am so glad you guys keep on supporting me along this whole journey. I seriously cannot wait for what 2018 can offer me with all the possibilities! Also, I would continue share my outfits ideas and inspirations to you guys. I hope everyone a lovely 2018 ahead of you! Let us get back to the outfit. I am so obsessed with wearing red lately. With this pop of colour, you can absolutely look great with simple outfits! This dressily red jumper is just super eye-catching! It is a bit chunky though. 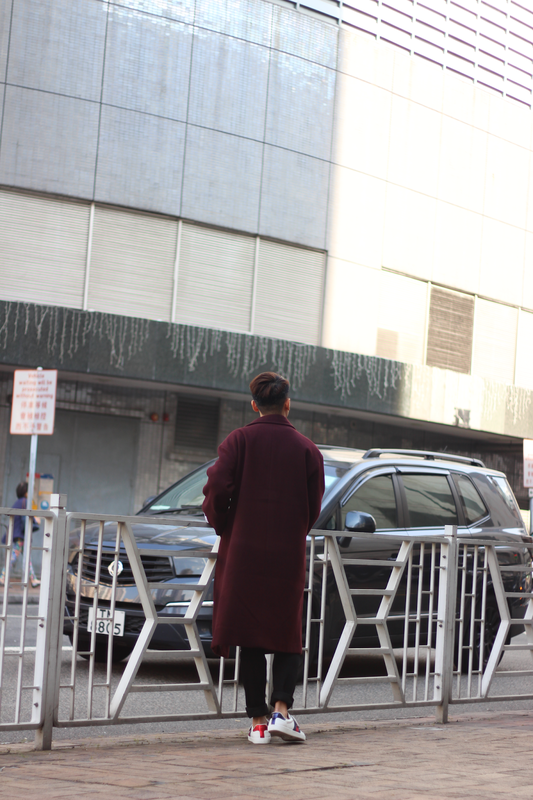 Then I am wearing this oversized long length coat from Bershka. 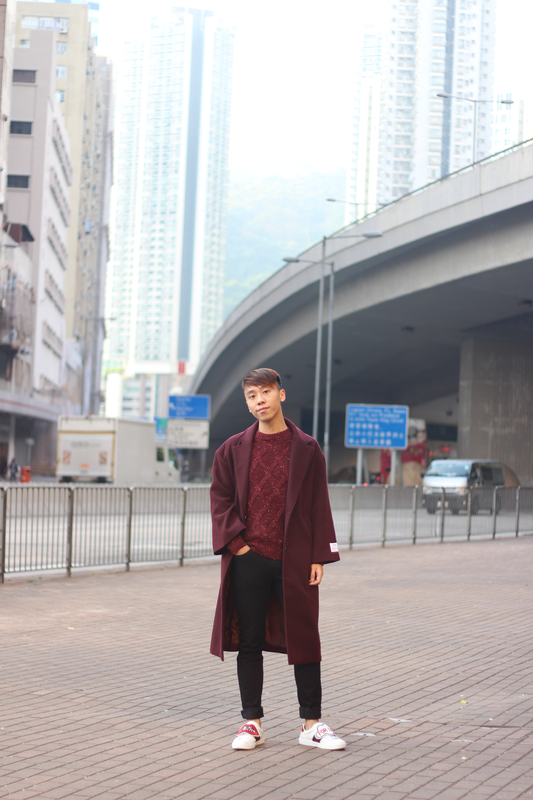 This purple/red wine coat is so comfortable! To add even more pop of red, I wore this Gucci sneakers with "Blind For Love" patches. Do you guys love this look? Let me know on the comment section below! OMG :O I'm obsessed with all combo! Love this outfit and this color! This colour looks amazing on you and I love the sneakers! 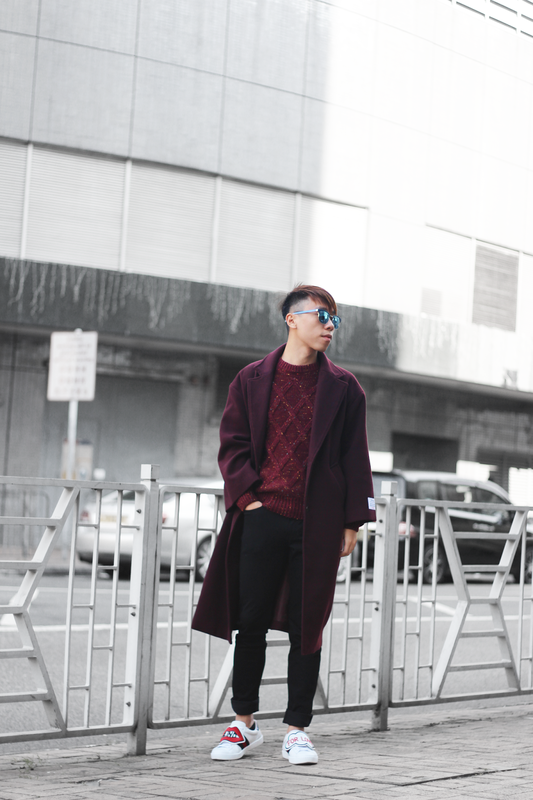 I love the burgundy jacket! Such a rich color!